ABU DHABI,12th August, 2018 (WAM) -- His Highness Sheikh Mohamed bin Zayed Al Nahyan, Crown Prince of Abu Dhabi and Deputy Supreme Commander of the UAE Armed Forces, said that the UAE's wise leadership led by President His Highness Sheikh Khalifa bin Zayed Al Nahyan considers youth empowerment utmost priority and spares no efforts to ensure their development and contribution to placing the country on the global competitiveness map. "As we celebrate the International Youth Day, we recall when our Founding Father Zayed placed full confidence in the nation’s young people. 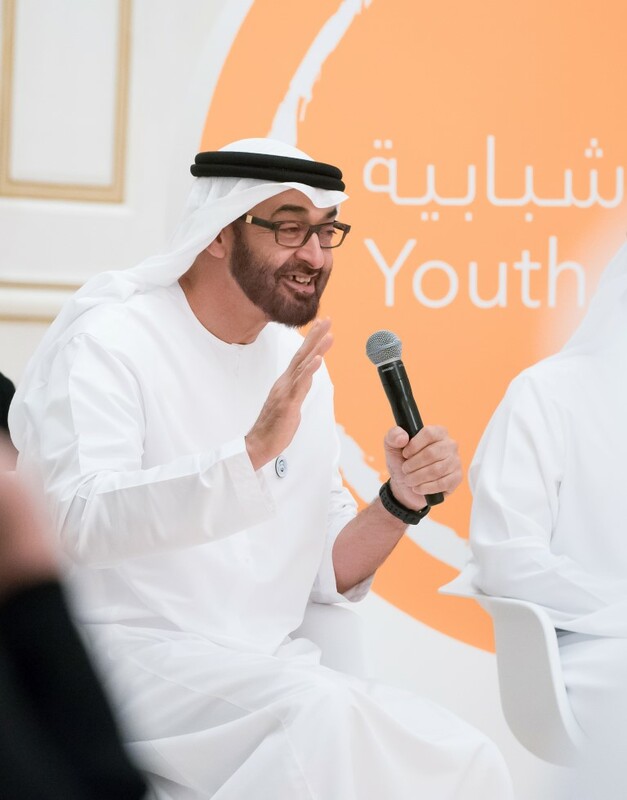 A solid relationship was established, based on unwavering faith in the capabilities of the youth, which has helped make the UAE what it is today," Sheikh Mohamed added at the circle organised by UAE Federal Youth Authority, on the occasion of the International Youth Day, which is observed on 12th August, every year. 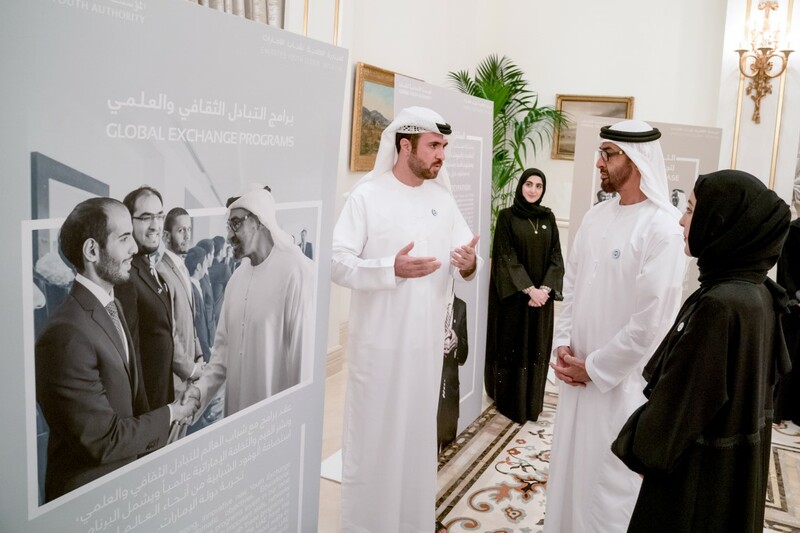 The initiative aims to revive the role assumed by youth in enhancing the reputation of the UAE and to strengthen the bonds between them and their peers worldwide. It also seeks to support the involvement of the country's youth in various international events and official missions abroad. It includes training UAE youth in major international companies to gain experience, holding meetings around the world to review global trends, best practices and the role of youth in ensuring UAE's competitiveness globally. It also envisages joint initiatives with young cadres from different parts of the world to spread awareness of UAE values, culture and comprehensive developmental drive. In turn, Shamma bint Suhail Faris Al Mazrui, Minister of State for Youth Affairs, expressed her thanks and appreciation to H.H. Sheikh Mohamed for attending the seminar, which comes to reaffirm his keenness to interact with the country's youth, listen to them and share their hopes, aspirations and ideas. The youth circle was attended by H.H. Sheikh Nahyan bin Zayed Al Nahyan, Chairman of the Board of Trustees of Zayed bin Sultan Al Nahyan Charitable and Humanitarian Foundation, H.H. Lt. General Sheikh Saif bin Zayed Al Nahyan, Deputy Prime Minister and Minister of the Interior, H.H. Sheikh Khalid bin Mohamed bin Zayed Al Nahyan, Sheikh Theyab bin Mohamed bin Zayed Al Nahyan, Chairman of the Department of Transport, Sheikh Zayed bin Mohamed bin Zayed Al Nahyan, and Sheikh Khalifa bin Tahnoun Al Nahyan, Director of the Martyrs' Families' Affairs Office at the Abu Dhabi Crown Prince's Court.